$795 - $1,190 / mo. Bellerive Apartments in Manhattan, KS offer apartments for rent in the Manhattan, KS area. Bellerive Apartments features 1 and 2 Bedroom Apartments located on the beautiful Colbert Hills Golf Course. 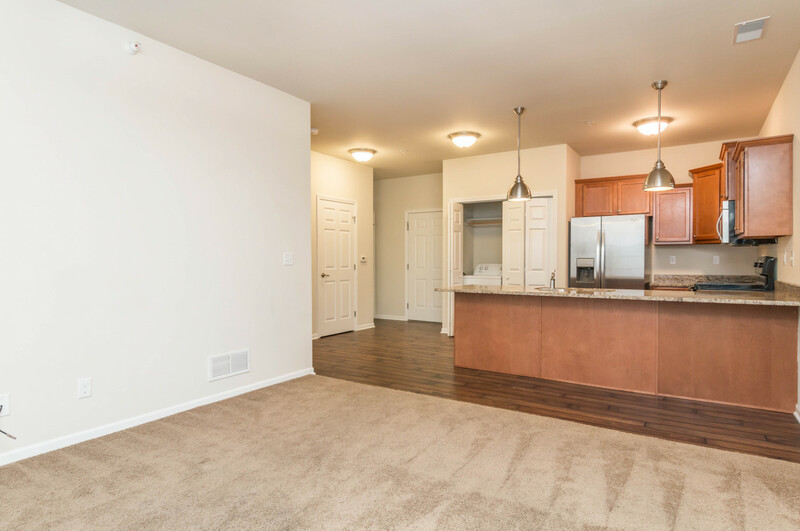 These newly constructed apartments feature granite countertops, stainless steel appliances, white interior doors and trim, washer/dryers and breath taking views in every direction. Whether you are looking for quiet surroundings, the beauty of the Flint Hills, or close proximity to Colbert Hills Golf Course, Bellerive Apartments is what you are looking for. Bellerive Apartments has an array of amenities and close proximity to shopping and dining. Bellerive Apartments are also located in a very quiet and peaceful neighborhood, perfect for families! These newly constructed apartments feature granite countertops, stainless steel appliances, modern finishes, and breathtaking views in every direction. Close to Fort Riley, K-State & Bill Snyder Stadium. Call today for your private showing at Bellerive Apartments in Manhattan. 1 bed 1 bath $795 1 Bed / 1 Bath 800 sq. ft.
2 beds 2 baths $1,190 2 Bed/ 2 Bath 1200 sq. ft.
I-70 to exit 303 (Hwy 18) to Manhattan. Turn North onto Scenic Drive. Turn West on grand Mere Parkway at the roundabout. Bellerive Apartments will be on the left.